Amalaki Ekadashi (also known as Amalaka Ekadashi) is an auspicious day for Hindus and is celebrated on the 11th day (Ekadashi) of the waxing moon in the lunar month of Phalgun (as per Gregorian calendar February â€“ March). It is a festival revering the amalaka or amla tree also known as the Indian gooseberry. It is believed that the Hindu God Vishnu (a major god of Hinduism and Indian mythology), for whom Ekadashis are sacred, resides in this tree. The ritualistic worship of the amla tree on this day is done to receive the blessings of deity. Amalaki Ekadashi falls between Maha Shivaratri and Holi (the festival of colors) and it marks the beginning of the main celebrations of the festival of Holi. 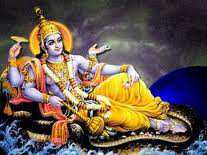 Vishnu is preserver of the universe, the principle that sustains and preserves. 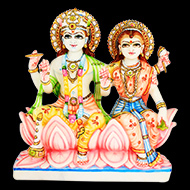 It is Vishnu who "sustains the planets in their orbits" and rules the natural progression of the seasons and the ages. Among the forces of nature, it is equilibrium. Vashistha Muni said in Brahmanda Puran â€œListen as I describe the best of all fast days, Amalaki Ekadashi. He who faithfully observes a fast on this Ekadashi obtains enormous wealth, gets free of the effects of all kinds of sins and attains liberation. Fasting on this Ekadashi is more purifying than donating one thousand cows in charity to a pure brahmanaâ€. Once in the month of Phalguna (February - March), the holy fast of Amalaki Ekadashi and Dwadashi coincides. Great benefits are bestowed on those who observe a fast on this day. 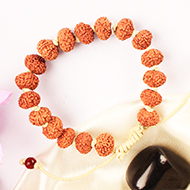 Amalaki is offspring of Lord Brahma, who can destroy all kinds of sinful reactions. Amalaki is actually the form of Brahman and was once worshiped by Lord Ramachandra Himself. Whoever circumambulates her is therefore immediately freed of all his sins. In case an Amalaki tree is not in the vicinity, a Tulsi plant can also be worshiped. Plant Tulsi seeds and offer lamps to it. The venerable Vasishtha Muni said, "...anyone who observes this holy Amalaki Ekadashi will undoubtedly attain the supreme abode of Lord Vishnu, so great is the religious merit earned from the observance of this most sacred fast day." I have ordered couple of times. The service is great, timely and the shipments reach US major cities fast in very reasonable time. Keep up the great work.